the professional players playing Scharpach guitars. Collectors that own Scharpach guitars are not mentioned. Professor Ahmet Kanneci, Ankara, Turkey. 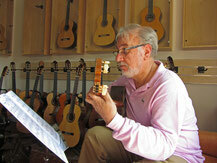 He owns 3 guitars from me together with some fine old guitars from Masters like Hauser as part of his collection. 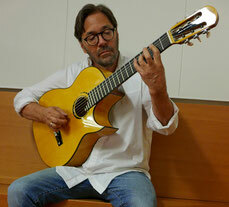 The legendary guitar player Al di Meola plays the La Porta flamenca that is custom made. Nadja is playing the Concertura. She is from Kiev, Ukraine. Uwe has a few Dolphin's type guitars. He just recently got his new guitar. 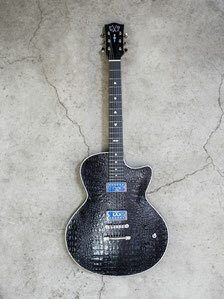 This is a traditional build guitar, however build according his requirements. It has been great to make the ViennaJOE for Philip Catherine. Camilo is from Santiago, Chile. 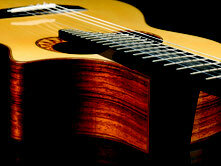 It is nice to work with Camilo as he loves the many ways of the classical guitar. the Memphis T FvB. A semi-acoustic thinline. From Regensburg, Germany. Andreas plays the Opus108. 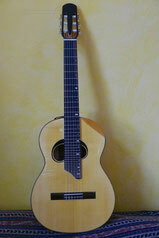 Ansgar owns 2 guitars: a steel string and the Dolphin nylon string. Tobias plays the 2oth anniversary version of the Bleu Vienna. Tobias is from Sweden.